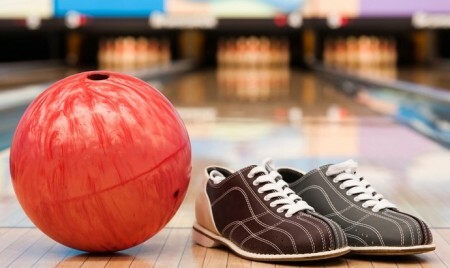 During two hours of bowling, guests can either take up one lane for two hours or two lanes for one hour each. The option for five hours of bowling lets customers spread their lane hours over multiple visits or use them all at once. Promotional value expires 90 days after purchase. Amount paid never expires. Not valid for shoe rentals. 5-hour package may be used over multiple visits. Not valid with any other offers. Reservation required. Limit 3 per person, may buy 3 additional as gift(s). Valid only for option purchased. May be repurchased every 30 days. 24-hour cancellation notice required. Merchant is solely responsible to purchasers for the care and quality of the advertised goods and services.